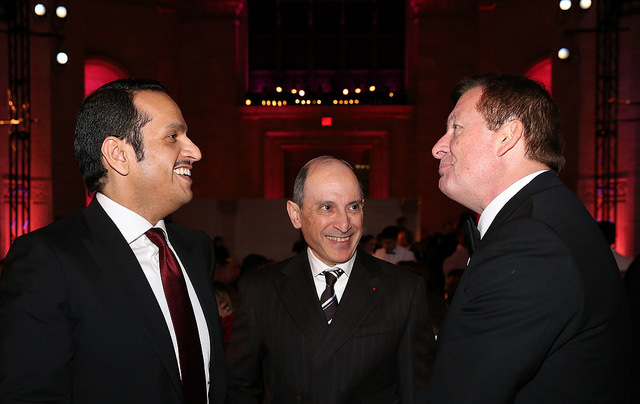 Qatar Airways has hosted a private VIP gala dinner with influential business leaders and political dignitaries to celebrate over a decade of the award-winning airline’s successful service to New York City at the historical and renowned venue Cipriani. 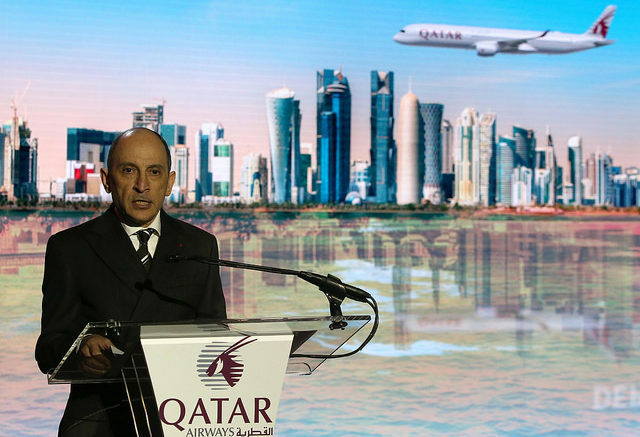 Recalled that in October, Qatar Airways became the Official Global Airline Partner of the NBA’s Brooklyn Nets and the team’s home, Barclays Center, the Brooklyn, New York venue that hosts many of the world’s most exciting entertainment and sporting events. This, according to the airline marks the first major partnership between the airline and an NBA team or venue. Qatar Airways’ A350-1000, the world’s most technologically advanced passenger aircraft, landed in New York in October 2018, marking the airline’s first U.S. route to operate commercial flights on the ultra-modern aircraft. The aircraft offers enhanced levels of passenger comfort, thanks to the lowest twin-engine noise level of any aircraft, advanced air conditioning technology and full LED mood lighting. In December 2017, the award-winning airline launched the ground-breaking Qsuite on direct flights to New York. Qsuite features the industry’s first-ever double bed available in Business Class, with privacy panels that stow away, so that passengers in adjoining seats can create their own private room. Qatar Airways’ first flight to the U.S. was to John F. Kennedy International Airport on June 28, 2007. Currently, the award-winning airline operates two daily direct flights between John F. Kennedy International Airport and Hamad International Airport. The multiple award-winning airlines, Qatar Airways was named ‘World’s Best Business Class’ by the 2018 World Airline Awards, managed by international air transport rating organisation Skytrax. It was also named ‘Best Business Class Seat’, ‘Best Airline in the Middle East’, and ‘World’s Best First Class Airline Lounge’. One of the world’s fastest-growing airlines, Qatar Airways currently operates a modern fleet of more than 200 aircraft flying to over 160 business and leisure destinations across six continents. The airline plans to launch a host of new destinations before the end of 2018, including Gothenburg, Sweden; Mombasa, Kenya and Da Nang, Vietnam. Be the first to comment on "Qatar Airways Celebrates Over 10 Years Flight Operations To New York"